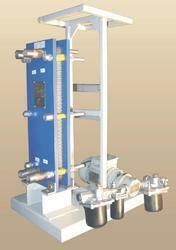 We are a leading Manufacturer of industrial pipe flushing machine from Ahmedabad, India. Backed by the sound practice of the realm, we have been proficient to offer a wide range of Industrial Pipe Flushing Machine. All these flushing equipment is widely employed to clean fuel lines, the lube lines, oil transfer lines where very clean piping is essential. To sustain the quality, our product is made under the headship of industry experts. Furthermore, we provide this product at low costs. Looking for Flushing Machine ?